Do you like to golf? Do you live near the Firewheel Golf Park in nearby Garland, Texas? Then grab your putter and pitching wedge, hope in your cart, and drive come out for a day full of fun to help support Children's Craniofacial Association. Monies donated will be used for help our families attend our Annual Retreat. For more information about the event click on over to this page. 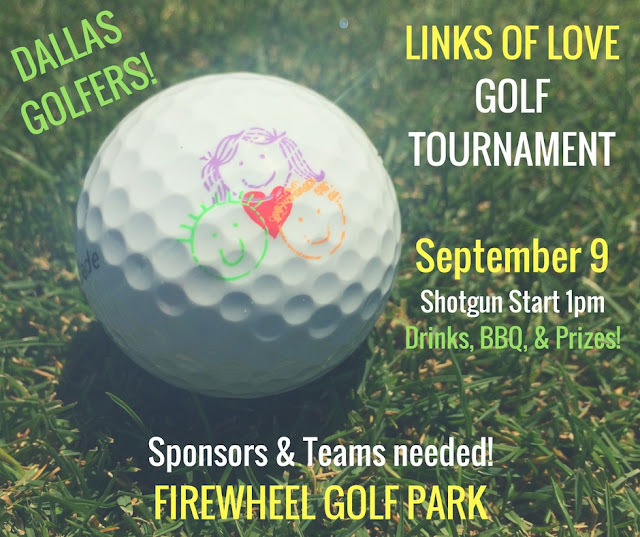 Links of Love Golf Tournament is 1 Week Away! Official Retreat Video is here!